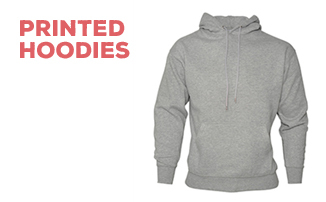 Looking for comfortable loungewear that you can customise with your own design? If so, you've come to the right place! Here at My Printed Clothing, we sell a huge variety of men's shorts and jogging bottoms, all of which can be printed or embroidered to your specifications. Whether you want a monogrammed pair of joggers or a comfy pair of printed shorts that feature your own cool design, we can help - simply select a garment from the list below and follow our simple, step-by-step customisation process to complete your order. Select a pair of shorts or joggers from the list above. Choose your preferred colour from the drop-down list on the product page. If you do not wish to add a custom design, simply click 'Buy Plain', specify your required size and quantity, and then click 'Add to Basket'. Alternatively, if you wish to add your own design to your shorts/joggers, click 'Add Branding'. On the next page, specify where on the garment you wish to add your design, then specify your personalised text or upload an image of your design. You will also need to enter your preferred size and quantity. Once you have finished shopping, proceed to our secure checkout system and complete your order. Shortly after placing your order, you should receive a confirmation email from the My Printed Clothing team. This email will include a proof of your design - if you are happy to proceed, let us know and your personalised legwear will be with you before you know it! If you require any assistance while using our website, please call My Printed Clothing on 0845 850 9836.